Four struggling couples need help. They get each other instead. Group Therapy without the Therapist. I was so happy to find something that was not a "remake" of something already done 100 times. This is creative, clever, and fresh. I love the "amateur" look to this, too much polish would have ruined it. The characters are "people you know" from your hometown and stay "in" character, that's cool in itself. 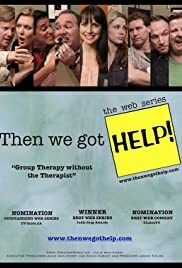 Each couple has a different type of problem, with the group attempting to solve each other's difficulty. The problem is, they are all so messed up, they don't have a chance to solve anything. Internet series are short and to the punch...that's great because it forces the storyline to be concise and doesn't wallow in a lot of unnecessary blab. I highly recommend this series, definitely worth the look.